Lollapalooza has begun in Chicago’s Grant Park; the festival runs all weekend, and some sets are streaming live. Liam Gallagher, who was recently in NYC to play a pair of intimate shows, started his scheduled hour long set today (8/3) at 4:30 PM but ended it abruptly only 20 minutes (and four songs) in, walking offstage without an explanation. He offered an apology later on twitter: “had a difficult gig last night which fucked my voice.” See that tweet, a couple of videos from his set, and the abbreviated setlist, below. 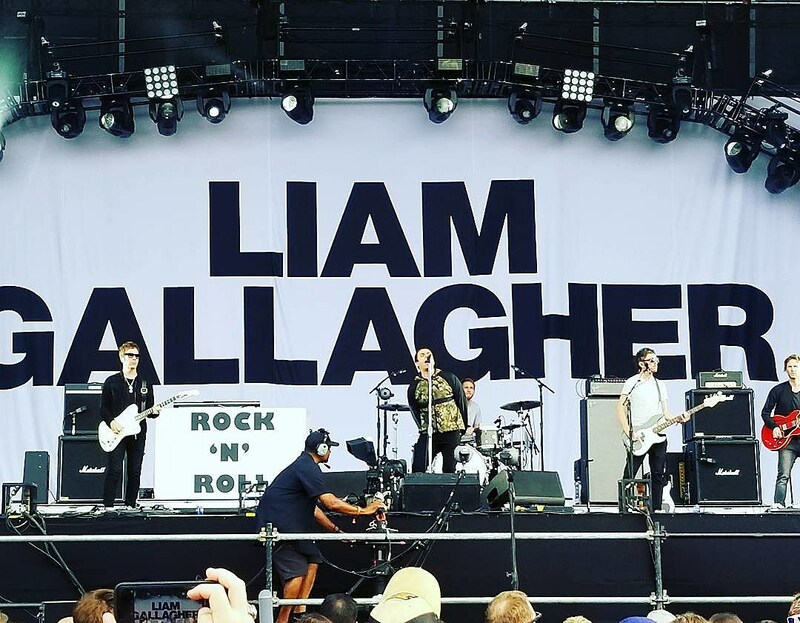 More pictures from Liam’s set, all of Thursday at Lollapalooz, HERE. Hopefully Liam’s voice is better for his scheduled set at Osheaga on Saturday, where he’s up against Danny Brown.